When the warm weather is in full swing, you’re going to want to have your doors open to take full advantage of the cool breeze outside. But how are you going to keep out the pests? A good quality screen door will mean the difference between a beautiful, comfortable home and a hot, stuffy sauna. 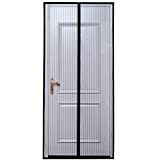 Magnetic screen doors are the perfect solution as they feature magnetic flaps that open and close with ease, and are useful for people with pets or children that want to go in and out frequently. 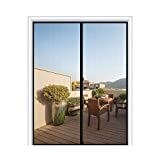 Here’s our picks for the best magnetic screen doors to make your house more comfortable this summer. 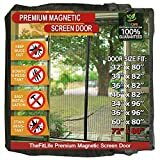 Premium 72"x80" Magnetic Screen Door for French Door, Fire-Resistant Fiberglass Mesh | Bug & Mosquito Proof, Kids & Pets Friendly | Fit Doors up to 70" x 79"
This magnetic screen door comes in many different sizes to fit any kind of door. Fitted with high energy magnets that tightly seal your home safely and securely, this screen door is simple to install yet highly effective. The screen door features hook and loop fasteners around the entire perimeter so that it is fully detachable, and the mesh itself comes in a number of colors and will suit any style of home. Not only that, the mesh material is made with a higher fibreglass percentage than standard magnetic screen doors, making it a lot more durable and effective than other magnetic screen doors. 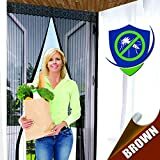 This magnetic screen door is so effective that it has been approved by the US military and is even used in base camps all over the world! The ELWEY magnetic screen door is simple to install, taking just minutes using the velcro and pins that the screen comes with. This screen door is strong and sturdy with the mesh constructed three times thicker than standard magnetic screen doors. Compatible with doors up to 36” by 82”, this screen door can accommodate regular single doors as well as sliding doors and even RV doors! The most useful thing about this particular screen door is that while other screen doors require you to open and close them to allow pets to come and go, this screen door is pet friendly, meaning your cats and dogs can get in and out without assistance. Nifty, huh? 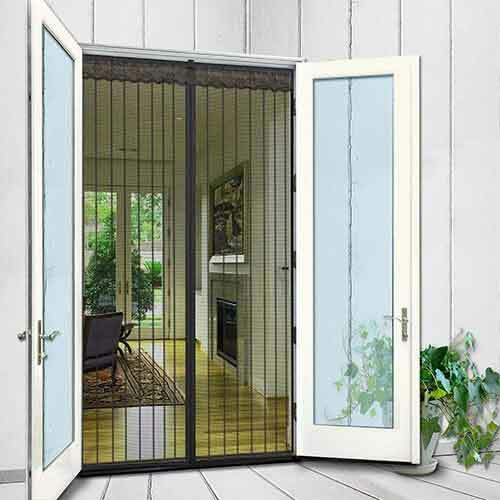 The OBOOUM magnetic screen door is focused on strength and security. Fitted with a full frame fixing, this screen door is lined with super strength, reinforced Velcro along every inch in order to fully secure the screen in place. 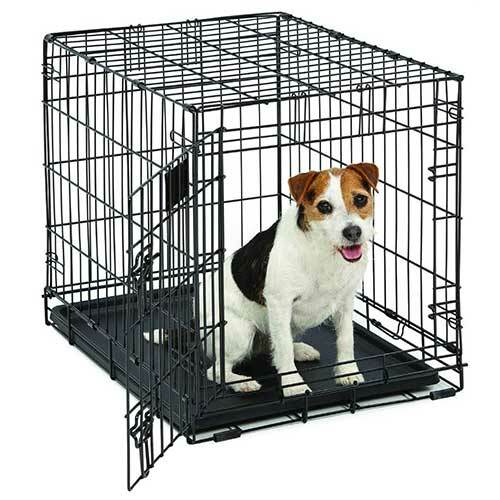 The screen fits a door size of up to 34” by 82” and, like other screens we’ve seen so far, is super easy for dogs and cats to come and go as they please whilst still keeping out mosquitos, gnats and flies. 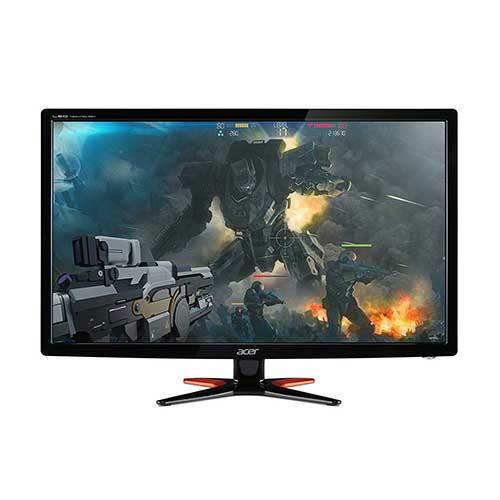 Made with super heavy duty materials, this mesh screen is strong but lightweight. Better yet, this screen comes with a 100% satisfaction guarantee. The Easy Screen Doors magnetic screen door is a mesh curtain that fits door openings of up to size 36” by 82”. 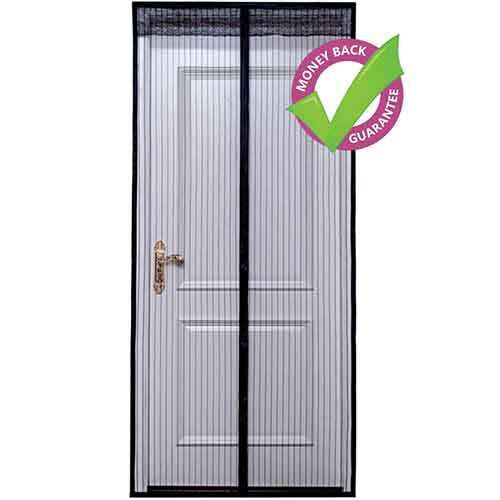 Made from extra durable mosquito netting, this screen door features reinforced seams and heavy duty velcro fasteners so that it will fit securely on your door. 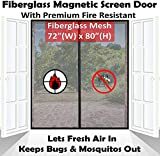 The magnets in this screen door are strong and sewn right into the seams and will keep insects out while keeping your pets and toddlers in. This magnetic screen door is also perfect for covering standard doors as well as sliding glass doors, RV doors and also balcony doors. So far we’ve looked at magnetic screen doors that fit standard single doors, but what do you do if you have wider in your house? 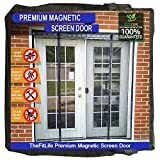 TheFitLife double door magnetic screen door is the perfect solution, fitting doors up to 60” by 80”. Not only that, but this screen door is made from strong but lightweight mesh that blocks out insects but lets in light. The mesh is completely sealed at all times through the 52 strong magnets that are sewn into the seams, and the gravity sticks at the bottom ensure that it won’t be blown open by the wind. The mesh is also fully waterproof and strong to ensure your home stays well protected. This Mag-Connection screen door is another double door solution, fitting doors of up to 70” by 79” in size. Made with the highest quality fibreglass mesh, this screen features cutting-edge micro-holes, keeping the smallest of insects at bay. 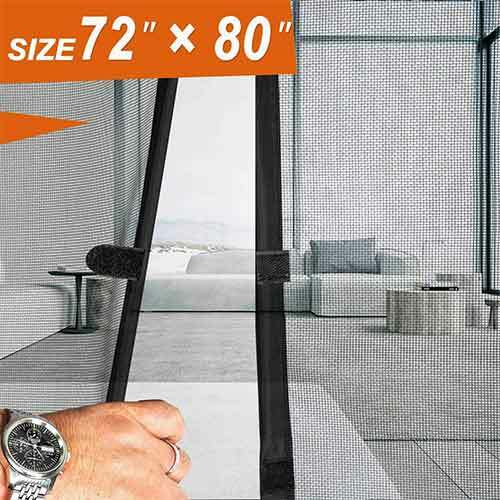 Boasting a strength of ten times more than most polyester/nylon screen doors, this mesh curtain comes with twenty-six high quality magnets to ensure the door closes perfectly and effortlessly with no holes or gaps each time. Perfect for all seasons, this screen door is flame, weather and stain resistant and won’t scratch or tear and will last you for years to come. 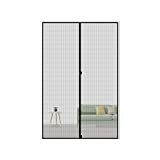 The MAGZO magnetic screen door is a stylish and functional mesh French screen suited to fit any size door up to 72” by 80”. 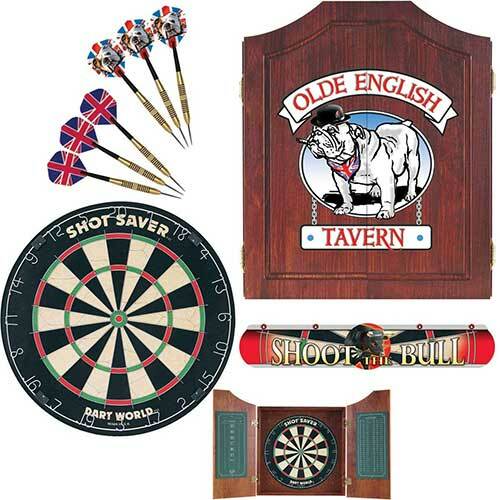 Built with magic sticker hasp design along the middle and the bottom of the magnetic edge, the MAGZO screen door is guaranteed not to blow open in the wind. Compared to other magnetic screen doors, this fibreglass mesh is highly durable through a range of temperatures, and is resistant to fire, chemicals and corrosives. 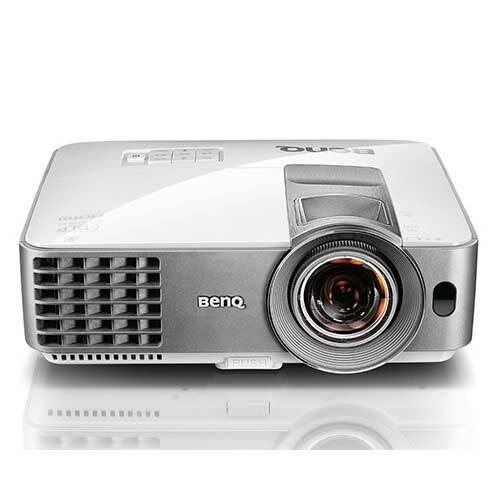 Though the mesh is heavy, it allows lots of light through giving you a better view through your door. 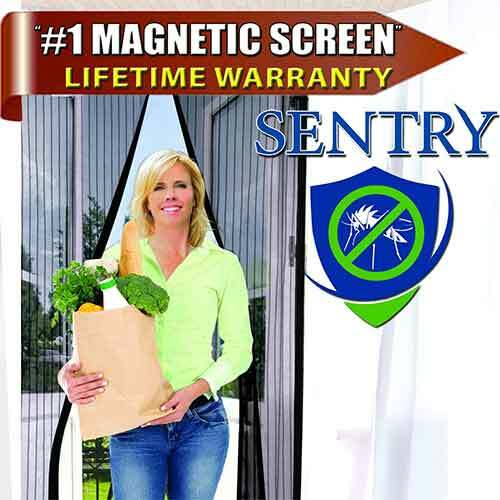 The N-Green magnetic screen door is a heavy duty mesh curtain that comes in a range of sizes up to 74” by 81”. Easy to install with no tools required, this mesh door features instant gap free closing, with sewn in magnet strips for seamless closing from floor to ceiling. The velcro that attaches the screen to your door is heavy duty and the double sided tape won’t damage your door frame. 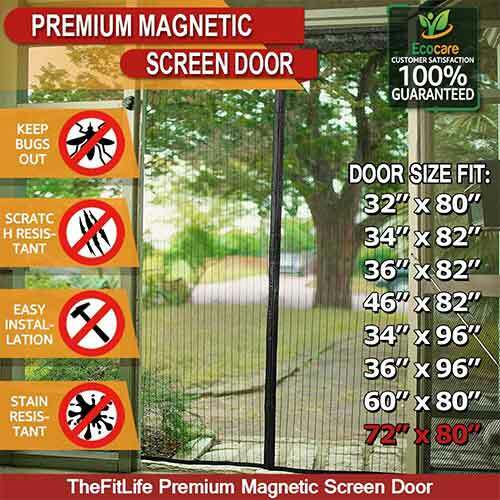 We’ve already shown you the magnetic screen door offering by TheFitLife, but this one will fit your double doors up to a size of 72” by 80”. 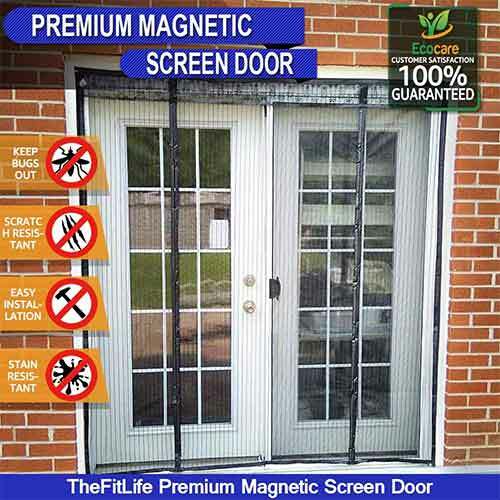 This means that you can enjoy all the benefits that TheFitLife offer in their magnetic screen doors, but for your double doors as well. 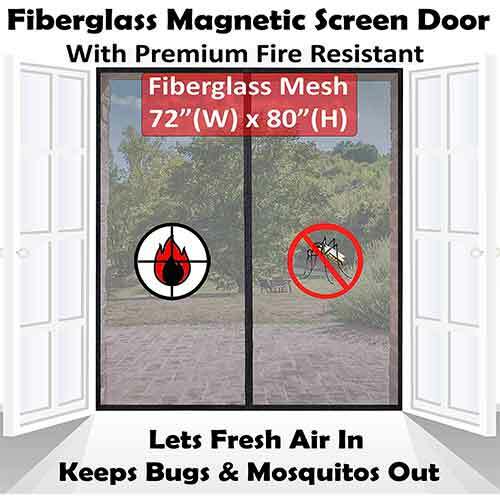 You’ll get the same super tough lightweight magnetic screen that you expect, complete with the strong magnet closure that snaps shut automatically, keeping the bugs out and your home cool. This MAGZO magnetic screen door is a versatile option for your single doors. Made with the same hook and loop hasp design as the door showcased in 4, you’ll find that this screen door stays shut even when it’s really windy out. In fact, this magnetic screen door has been tested with a range of wind strengths and passes the test every time. This screen door is almost invisible once installed, so there’s no unsightly barrier between you and the outdoors. 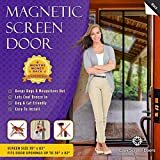 Pet and kid friendly, this magnetic screen door will make your life easier and more comfortable. Whether you are wanting to keep the pests out or bring the cool breeze inside, there’s a magnetic screen door out there to suit your needs and budget. 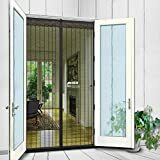 If you value style or function – or both – this list of top magnetic screen doors for 2019 will help you choose the right magnetic screen door for you that will last you for years to come.